According to the latest Red Flag Alert, there has been an increase in the number of UK hospitality businesses that are suffering ‘significant’ financial distress. The report, produced by the consultancy firm Begbies Traynor, uses legal and financial data to measure the ‘distress signals’ of companies in order to determine the financial health of UK industries. ‘Significant’ financial distress is a term assigned to organisations that have county court judgements (CCJs) of less than £5000 filed against them and have experienced a sustained decline in key financial indicators and ratios such as working capital, retained profit and net worth. Between Q4 2012 and Q4 2013, the number of hospitality businesses within the UK being rated as significantly distressed increased, with the number of bars and restaurants rising by 13% and hotels by a substantial 28%. However, this upward trend is not exclusive to the hospitality sector. During this time, an increase was observed across all sectors included in the research, apart from the construction industry. Overall, the total number of UK organisations facing significant financial distress rose by 16%. Furthermore, significant distress levels for the final quarter of 2013 have been reported as being at a record high. 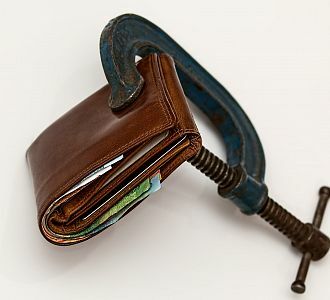 Such high levels of financial distress are thought to have been particularly influenced by the poor performance of small and medium enterprises (SMEs). As the UK economy shows signs of recovery, SMEs are struggling to compete for a share of this market growth. Often lacking management skills as well as available funding- characteristics particularly associated with businesses in the seed or start-up stages- SMEs tend to be at a competitive disadvantage compared to large organisations. “With hotel occupancy levels and revenue per room in the last quarter of 2013 falling, the hotel sector is in a difficult position as it enters the lean Q1 trading period”. As the performance of the UK hotel industry continues to be put under pressure, it is important that the impact of organisational decisions on financial performance is understood. arena4finance specialises in the design and delivery of financial training for non-financial managers to assist businesses and individuals enhance their understanding and confidence. Offering a range of titles, including Finance for Revenue Managers and Cost Control for Food & Beverage Operations, arena4finance delivers courses to individuals and companies, and can tailor content to meet specific requirements. For more information on the courses available, please click here or contact the arena4finance team at hello@arena4finance.co.uk.